SUMMER SWEATER KNIT ALONG 2018! 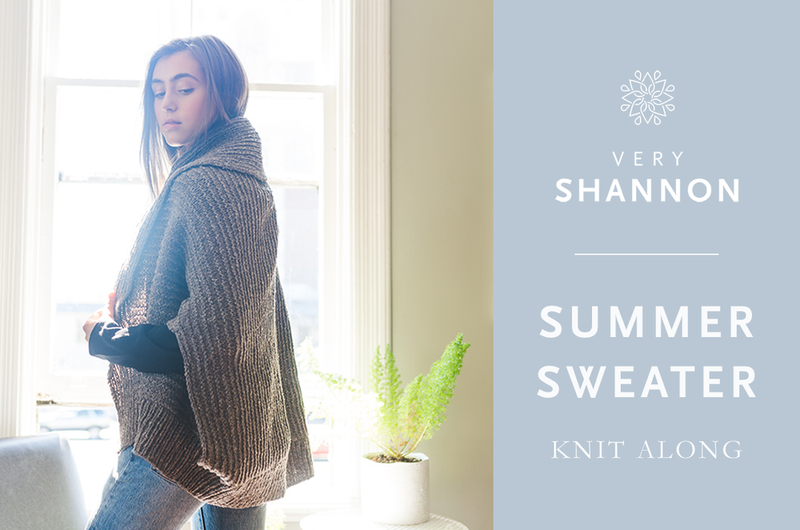 It's "almost" time for our annual SUMMER SWEATER KNIT ALONG! Our #SSKAL18 where we encourage knitters to keep making garments throughout the summer months so they can sport their new handmade lovelies just in time for the fall/winter season. Read info on the dates, details, rules and more HERE! Use hashtag #SSKAL18 and #SSKAL to share your projects on social media! We hope you enjoy knitting along with us! WE LOVE OUR KNIT ALONGS! Click on the links below & they will take you to a post with all the knit along posts for that series! Enjoy! Don't miss our brand new Tips & Techniques page filled with special guests & helpful posts & videos! Sign up for special subscriber discounts, updates on new patterns, giveaways, and more! Very Shannon Inc. will use the information you provide on this form to be in touch with you. You can change your mind at any time by clicking the unsubscribe link in the footer of any email you receive from us, or by contacting us at askveryshannon@gmail.com. We will treat your information with respect. For more information about our privacy practices please visit our Terms & Conditions/Privacy Policies. Happy knitting & sewing from my home to yours! Each year we run our most popular knit along - Summer Sweater! We all start a sweater in the summer so we can show it off in the fall/winter! It's not to be missed! We love knitting all year round so why not add some warmer weather garments to your wardrobe! Anything that doesn't have full sleeves qualifies for one of our most fun knit alongs! Throughout the year we like to surprise you with exciting knit alongs in between our annual ones. What do you think will be next?